First day of June, guys! According to the interwebs, today is also #DareDay. In this case, we dare you… to subscribe to our YouTube Channel. You want to know when the GATE and Monster Musume: Everyday Life with Monster Girls cast lists go up, don’t ya? We can tell you that it’ll be soon-ish. To get a quick glimpse of the good stuff, here’s something we launched recently for our favorite moe death show, SCHOOL-LIVE! Follow us on YouTube: THAT’s your dare for the day! 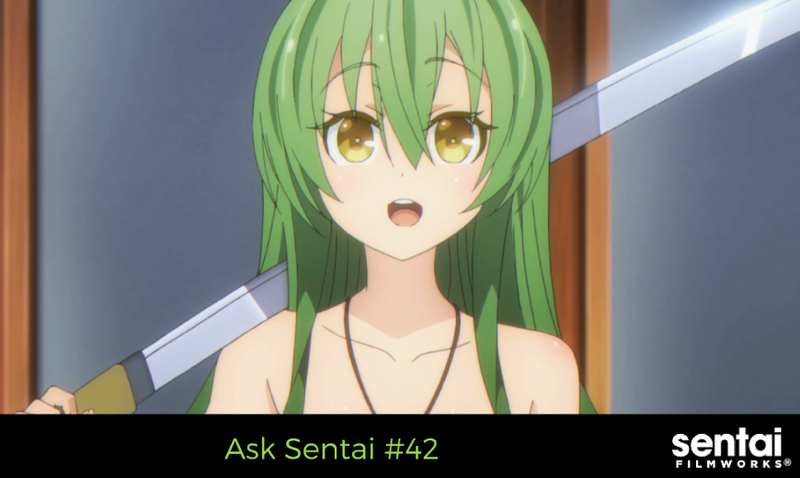 As for ours, we’ll jump into #AskSentai. Would it be possible for Sentai to license the Danmachi OVA that came out last year? Kind of like you did for the HOTD OVA. For various reasons, licensing OVAs can be a little tricky sometimes, but thanks for letting us know about your interest in it. No promises, but thanks for putting it on our radar. Will your Chihayafuru set include the OVA? Or is that going to get released with season 2? By the way, your Premium Box Set looks amazing and you're even dubbing this, I'm so happy! The OVA will not be in the Season 1 collection, and we have not released any details about Season 2 yet. Can I join the hypothetical Flip Flappers dub hype train? Since Mother's Day is this month, who are some of your favorite Sentai moms from anime? Both of them come from Parasyte -the maxim-. Why are anime moms so rare? Great idea, but that is actually Toonami's decision. Make sure you tell them that you want those shows :) We're certainly not opposed to the idea! 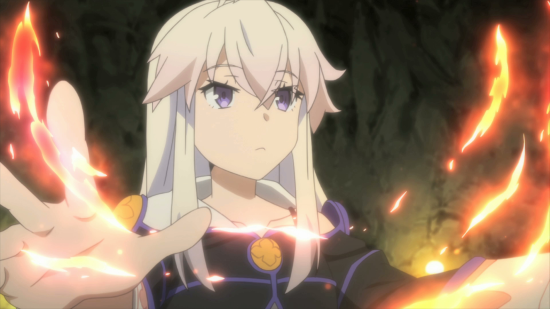 Can you please consider dubbing Grimoire of Zero and Atom: The Beginning, I think both of these anime are cool and fun. Both need more attention in my opinion! Thanks for the suggestions! Still early in the season, but we love those two. Senpai How are you? If you have the change to make a wish to NOEL (from celestial method) What would it be? For the current season... who is best girl? Zero from Grimoire of Zero. Hands down. Dangerous and adorable. We don't produce anime, we just license anime from Japan and localize it to North America. Any continuation of the series is up to Japan not us. Regarding Tamako Love Story, is it like: say I love you or my love story? Tamako Love Story is the movie continuation of Tamako Market. It's more My Love Story with its cuteness, versus heavy romance.